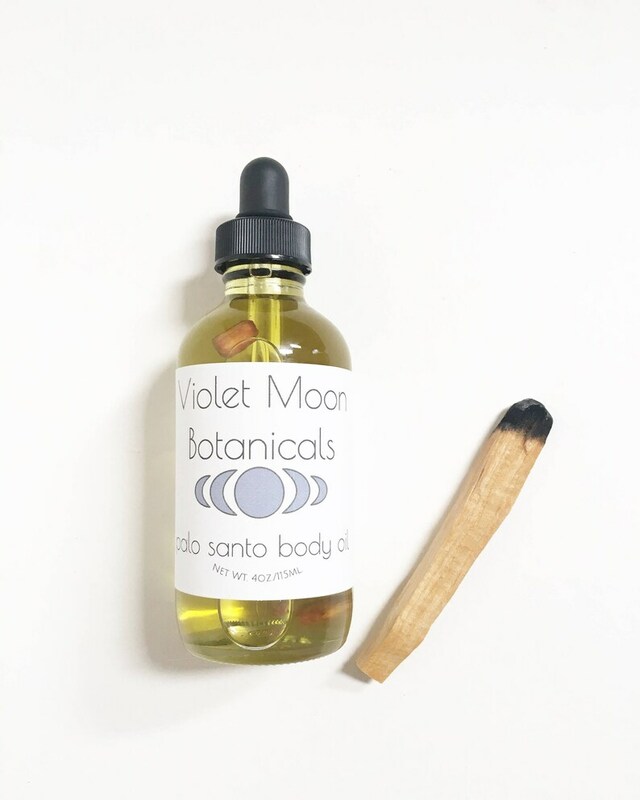 Nourish your skin and promote good vibes with this hydrating palo santo infused body oil. 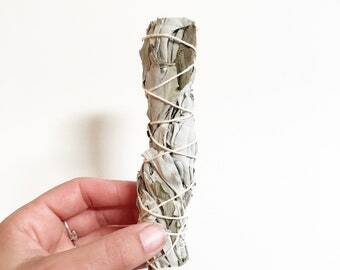 Let your skin absorb the powers of palo santo while using this oil as a body and hand moisturizing oil or serum, energy clearing massage oil, during meditation, or in ritual uses. 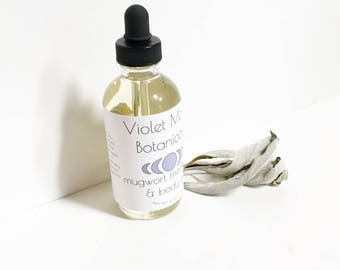 Great as a liquid smudge oil for the body. 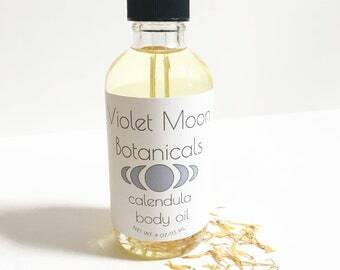 This multi-use oil contains a nourishing blend of sunflower, avocado, olive, grape seed and hemp seed oils that have been solar infused with palo santo wood chips. 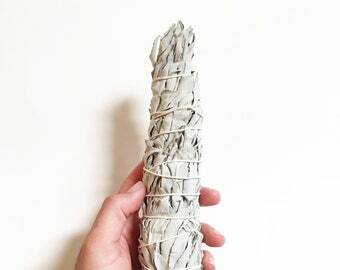 This oil has an anise like palo santo scent. This oil blend has been solar infused with sustainably harvested wild palo santo wood chips to extract all of their positive energy. Sunflower oil is know for its non-comedogenic nature so it won't clog pores. 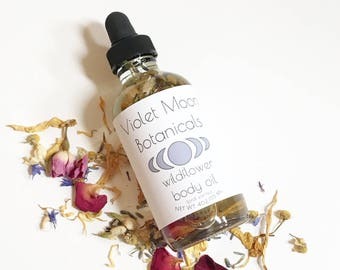 Sunflower oil,and olive oil are rich in oleic acids as well as vitamins A, D and E that deeply condition skin, and leave skin hydrated and nourished. Avocado oil easily and deeply penetrates the skin to hydrate and nourish with essential fatty acids, as well as vitamins D and E that help improve skin texture. Grape seed oil as well as hemp seed oils is are rich in linoleic fatty acids that hydrate and condition distressed skin. Each bottle contains wild harvested palo santo wood chips from Peru.that have been solar infused into the oil. These palo santo chips come from naturally fallen branches that have been aged for 4 years as is traditional, and harvested sustainably. 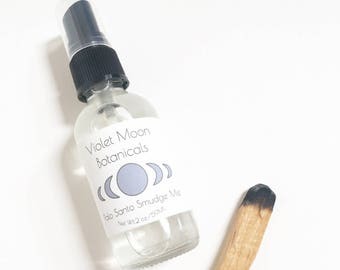 Ingredients: avocado oil, grape seed oil, olive oil, sunflower oil, hemp seed oil, that have been solar infused with palo santo wood chips, palo santo essential oil. 1 made to order glass bottle with dropper containing 4oz. 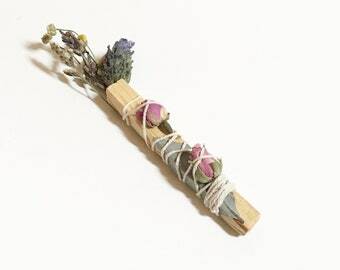 of palo santo body oil.